I am not a connoisseur of many things. The nuances and subtleties of wine, beer, fast cars are all lost on me. I am, however, a lover of all teas irregardless of colour or origin. 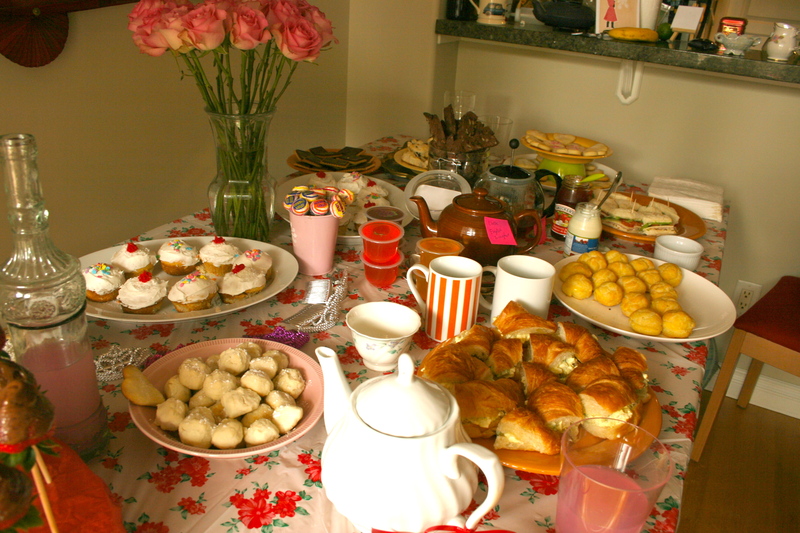 It was finally suggested to me that I host a tea party for friends, and I was very much up to the challenge. In my usual manner, I went to great lengths to create everything from scratch. In the end, I had quite the spread: cupcakes, blueberry scones, chocolate chip scones, sugar cookies, shortbread cookies, chocolate walnut biscotti, chocolate-dipped strawberries, miniature tea sandwiches and, of course, a plethora of tea. My favourite dessert I made was the one I was initially most intimidated by- cream puffs. Surprisingly, these were the most fun and the easiest to make out of all of them. Curiously, they were also the first dessert to be finished by the guests- in a mere 15 minutes! I will hopefully share a few of the recipes (and photos!) from this great party, and these wonderful cream puffs will start it all off. Enjoyyour friends with this simple delicacy!